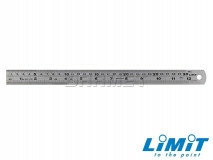 Steel ruler is a device used in geometry, technical drawing, engineering and construction for measuring, drawing straight lines or as a guide for cutting. 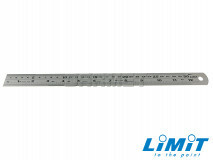 Ruler edge is used to check the flatness of the surface. 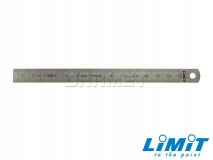 One edge of the ruler is cut at right angles and the other at 45 °. 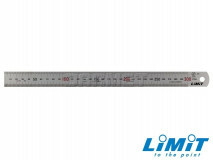 The ruler is applied to the checked surface in different directions and locations, observing whether there is a light gap between the edge of the ruler and the surface being checked. Tilting the ruler makes it easier to observe a gap. 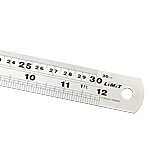 A line ruler is a ruler with a linear scale. The measures can be rigid or flexible.